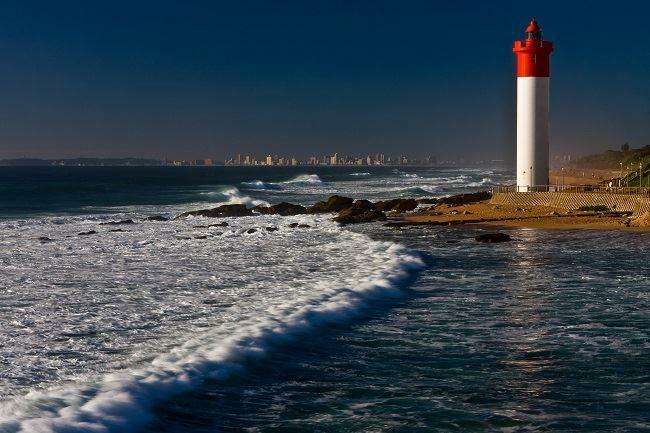 Umhlanga urban development has a history of just 25 years but in this short time, this bustling coastal town has achieved incredible real estate growth, particularly in the luxury residential sector. "Although the town is relatively young, it has become widely recognised as a premier coastal address for affluent buyers and investors, who are now paying an average of R7m for a home here," says Greg Harris, owner of the Chas Everitt International franchise in Umhlanga. "And this growing demand has resulted in the continued development of luxury properties on prime land and offering magnificent ocean views." He says the popularity of luxury homes in the town has been growing year-on-year and predicts that this will continue into 2019. "The new year is expected to follow the same course as 2018 where a high number of property sales will drive the market and even higher selling prices will be achieved.Last year saw 52 luxury homes being sold, ranging in price from R5m to R35m." Harris says a penthouse and an apartment in the Pearls development that were being marketed by Chas Everitt International were "snapped up" for R35m and R30m respectively, and that two luxury freehold houses were recently sold for R23m and R19m. "This shows that buyers are not only willing to purchase high-end homes in Umhlanga but willing to do so even when the economy is struggling." What is more, he says, even though uMhlanga's luxury homes have an increasing appeal for international buyers, the vast majority of buyers are still South Africans. "And this is especially true when it comes to Gauteng buyers, many of whom are relocating to the town with their families so that they can enjoy a sub-tropical climate, warm beaches, a selection of good schools and a diverse network of hospitals, shopping centres and restaurants." Foreign buyers currently account for only about 5% of all luxury purchases in the town, says Harris, "but we are getting more and more enquiries, especially from the UK, Singapore, US Switzerland and Russia." The three most popular luxury developments in the town are the Pearls of Umhlanga, Oceans Umhlanga and The Oysters - all of which perfectly encapsulate the most high-end and modern properties here, he says. "The recently completed Pearls of Umhlanga, offers luxury that is hard to find anywhere else in the province. Worth R3,5bn and featuring 700 apartments and 60 shops, it is an iconic development that overlooks the Umhlanga promenade. "And our Umhlangaesidential division has secured many sole mandates to market apartments in this development."